School breaks mean fun and relaxation for many families. But for over 3,000 children in Brevard County alone, they represent uncertainty. These are the kids in the school system who are listed as being in transition: homeless or in unstable housing situations. While the challenges of finding affordable childcare are not unique to families facing homelessness, for the parents who are struggling, school breaks often mean leaving their kids with neighbors or risk losing employment when they have to take personal time to make sure their children are safe. Conceived in 2017, Camp Hope is our response to this challenge. Kids should have someplace fun, safe, and enriching to spend their time during breaks while the parents shouldn’t have to choose between their children and their financial security. During the 2017/2018 school year, we provided services for 47 children who represented nearly 30 families over the course of three sessions (winter, spring, and summer). 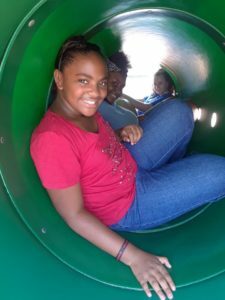 Camp fees were waived for kids in transition, and were both affordable and on a sliding scale for any other families who wanted to participate. This past year, we focused on themes of growth, cultures around the world, and teamwork. 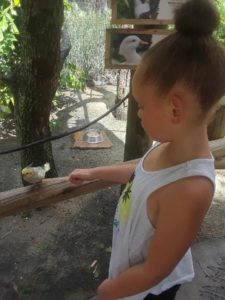 There were many different trips, including ones to the Orlando Science Center, Fort Christmas, Forever Florida, Brevard Zoo, and (for our Winter Session) ICE! at Gaylord Palms for an indoor "Around the World" adventure. We were supported by the community and joined by several incredible members of the public school system who worked as the camp leaders. 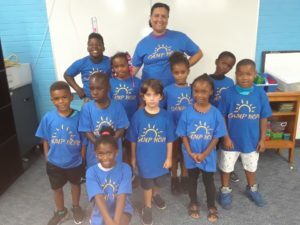 After observing the successes and challenges from our first year, and after the announcement of the school who hosted us being closed over the summer for the coming school year, we’ve decided to take this opportunity to make camp an even more enriching experience for our campers by create a Science, Technology, Engineering, Arts, and Science (STEAM) based curriculum for camp. It will have all the fun that campers expect: games, crafts, trips, and activities. We’ll use these as tools to explore the world around us, from the ecosystems and communities around for us to the very building blocks that create them. There's absolutely no reason that learning can't be exciting- especially when the world is as incredible as ours is. Learning research backs student led, hands-on exploration for creating innovative problem solvers, but that requires the chance to interact with STEAM based ideas in a way that encourages that freedom of thought which is often a challenge for students in transition who are often below grade level in math and reading. It's not that they don't have the tools: they simply lack the life stability and access to outside enrichment opportunity to develop them. Camp Hope's mission is to change that. Our goal is to be ready to start during the winter break of the 2019/2020 school year and anticipate running for twelve weeks while school is on holiday (Winter Break, Spring Break, and Summer Break). This Camp would not have been possible without the support of grants and generous community partners. While we look forward to next season, it can't happen without funding. Community of Hope is actively seeking grants, corporate partnerships, and funding opportunities for next year. 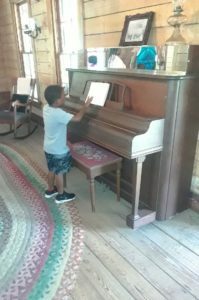 We want to be able to provide the best possible learning and experiential opportunities for the kids who participate, and for that, we need you! Please consider donating HERE, or getting your business involved, to keep this program going for many years to come. Several individual donors to whom we are very grateful!